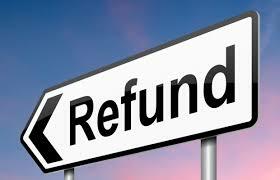 How do you go about posting a refund to Accounts Receivable? The way to post an Accounts Receivable refund is by using the General Journal in which you would debit Accounts Receivable and credit the bank account. If you are using Quickbooks, Use the Create Credit Memos/Refunds window to issue a credit memo or refund check when a customer returns items for which you have already recorded an invoice, customer payment, or sales receipt. Go to the Customers menu and click Create Credit Memos/Refunds. In the Customer:Job field, choose the customer and job for which you are creating the credit memo or refund check. Important: If you have created more than one job for the customer, be sure to assign the credit memo to the correct job. You can apply the credit memo only to the same job for which it was created. Select a template. Click the Account drop-down list and choose which Accounts Receivable account to use. This field appears only when you have more than one accounts receivable account (most companies have only one). Enter the items being returned in the line item area. Use the same information that was on the original invoice or billing statement. QuickBooks decreases the income accounts of the invoice items by the amount of the return. (Optional) Assign a class to this credit memo. (Optional) In the Customer Message field click a message from the drop-down list, or enter a new message to your customer. (Optional) Enter a memo for this transaction. The memo does not print on the credit memo, but it does appear in the Accounts Receivable register and in the customer register. (Optional) Print the credit memo. Save the credit memo. The Available Credit window opens, where you tell QuickBooks how to use this credit.